This website gets lots of ‘hits’. Lots. And the majority is from all around the country and, in fact, the world. So this entry probably won’t hold much interest to most of Bangagong’s visitors but it’s important to me, personal, you know? 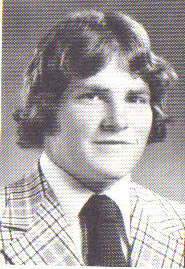 I attended high school at Orrville High School in Orrville, OH from 1972 – 1976 and I can say, without any doubt, that everyone I attended high school with were among some of the best people I have ever associated with. When I think of my former classmates words like decent, integrity, fun, character, respect come immediately to mind. 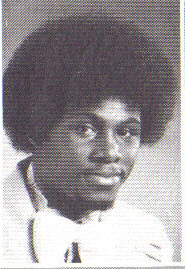 Well, next month the OHS Class of ’76 is coming together for a good thing. and everyone is invited, inlcuding you! Thanks to such wonderful & special people like Ruth, Jeannie, Shelly, Jeff and so many others. The Orrville High School Class of ’76 Reunion Committee has announced a special event to benefit the Class of 1976 Memorial Scholarship Fund. 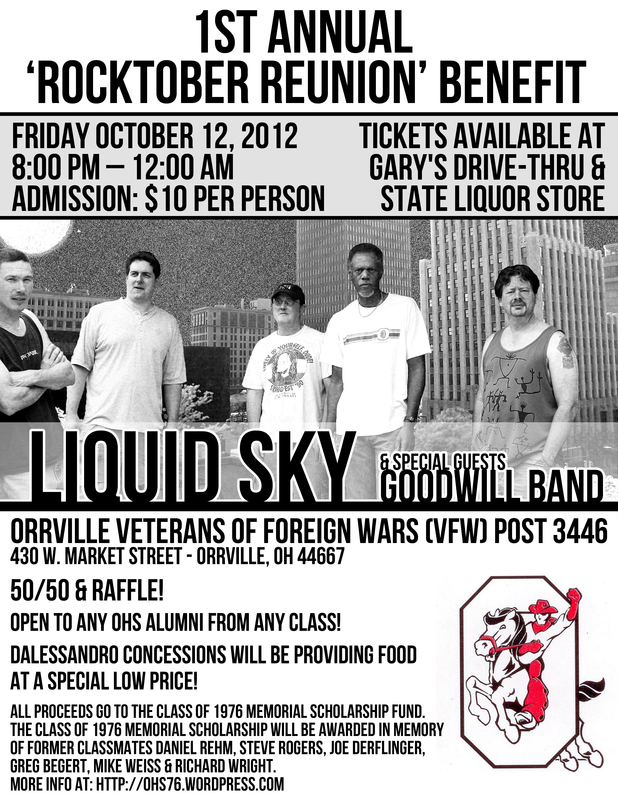 The 1st Annual ‘Rocktober Reunion Benefit’ will be held on Friday evening October 12, 2012 from 8:00 PM – Midnight at the Orrville Veterans of Foreign Wars (VFW) Post 3446 located at 430 W. Market Street in Orrville, OH. The evening will be a benefit for the Class of 1976 Memorial Scholarship Fund with all proceeds going towards the continual building of the Class of 1976 Memorial Scholarship Fund. Admission will be $10.00 per person. There will be a cash bar and Dalessandro Concessions will be providing food at a special low price. The event will run from 8:00 PM – 12:00 AM and will include a 50/50, raffle items and music provided by Liquid Sky. All proceeds will go to the Class of 1976 Memorial Scholarship Fund. The event is open to any OHS alumni from any class. The scholarship will be awarded to a graduating senior of the Class of 2016, the 40th anniversary of the Class of 1976’s graduation. 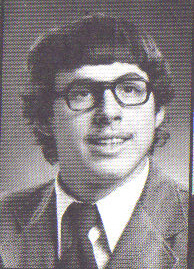 The Class of 1976 Memorial Scholarship will be awarded in memory of former classmates who are no longer with us, including Daniel Rehm, Steve Rogers, Joe Derflinger, Greg Begert, Mike Weiss & Richard Wright. During the Saturday evening activities the renowned band, Liquid Sky will be performing. The professional band features Class of ’76 alumni Ed Marthey on keyboards. 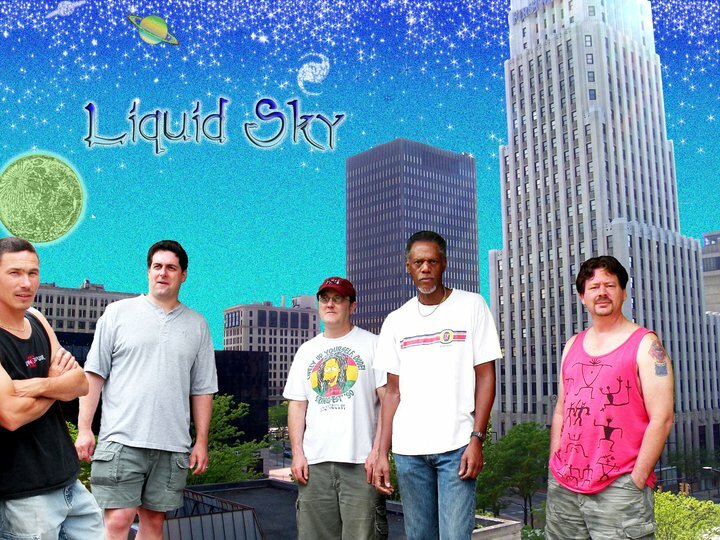 Liquid Sky, a band from Akron, Ohio, is a group of five talented men who have crafted a show that has something for everyone, particularly those who want to rock. 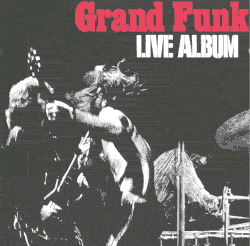 The band specializes in music that most other rock-n-roll bands don’t usually play while keeping it highly danceable. In short, they are rock without apology. Liquid Sky consists of Marthey, Ben Powers, Brad Johnson, Bruce Lindamood and Chip Maggio, who performed at the OHS Class of ’76 35th Reunion held last September 17, 2011. The GOODWILL BAND will be opening for LIQUID SKY at the 1st Annual ‘Rocktober Reunion Benefit’. 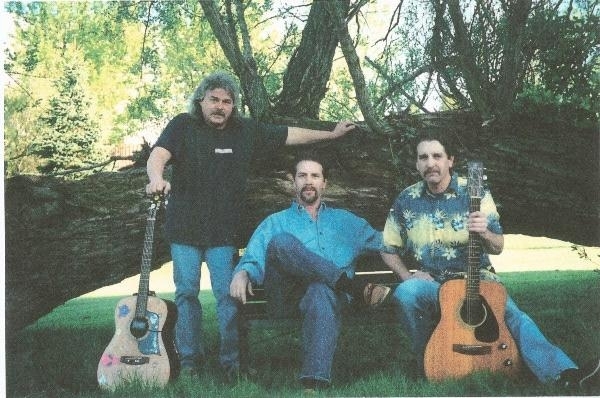 The Goodwill Band consists of Jim Good, Tom Williams & Bob Good. 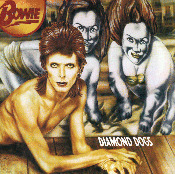 All three began their music careers in Orrville and have all performed with a number of bands throughout the years. The three longtime friends hooked up in 1999 as the Goodwill Band and have played all over the state, most notably at the Miss Ohio Festival and opening for Red Ball Jets at The Brickhouse. 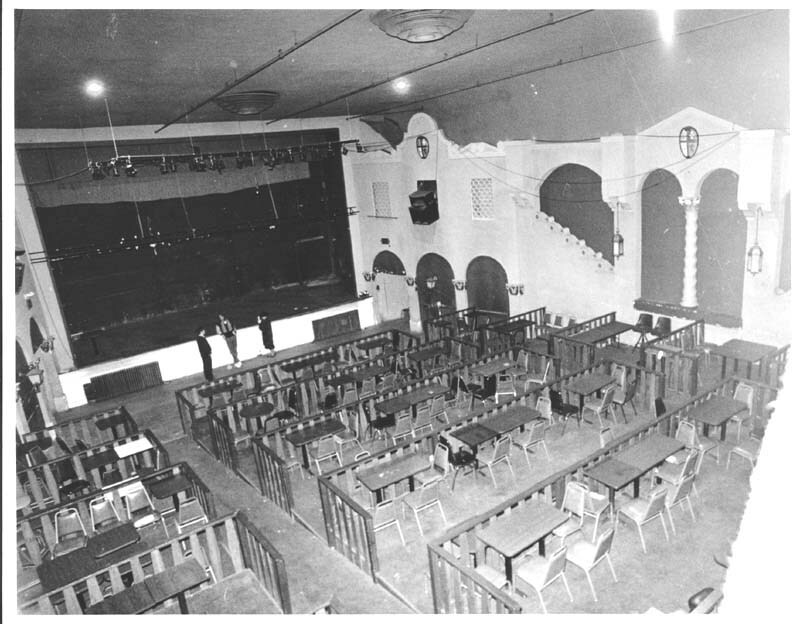 They were also fixtures at the former Starboard Café in Orrville. The Goodwill Band performs both originals and covers of songs by Beatles, Eagles, CSN&Y, The Who, Hollies, Al Jackson and others. Tickets are available at Gary’s Drive Thru and the State Liquor Agency, both located at 331 West High Street in Orrville as well as via mail order. 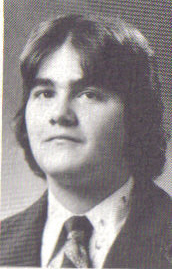 In the meantime anyone can donate to the ‘Class of 1976 Memorial Scholarship’ fund at anytime by sending a check to the reunion committee (Ruth Walentik-Johnston, 347 Wabash Avenue, Orrville, OH 44667). Donors are asked to signify on the check memo that the monies are designated to the scholarship fund. Make checks & money orders payable to OHS Class of 1976. 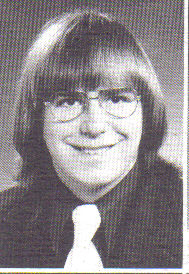 The OHS Class of ’76 Memorial Scholarship Fund is in memory of Daniel Rehm, Steve Rogers, Joe Derflinger, Greg Begert, Mike Weiss & Richard Wright. Cutting Edge Technology – 50 Years Ago! Late this afternoon my 10-year-old grandson made a proclamation to me: “Grandpa, I know what you can get me for Easter. An I-Pod.” A…. what? I’ve heard of them, but didn’t know precisely what their function was. Hunter explained it. So I asked him, what’s wrong with a transistor radio. So I tried to explain to him and then, finally, started digging through containers in the basement and dug put two of my old ones. I dug out new batteries, stuck them in, and damned if they didn’t still work! AM! After assimilating the information and demonstration, he wasn’t impressed. But in 1965 I sure was! For Christmas that year Mom got me my first transistor radio, a small Westinghouse, with an earpiece even! (It measures 2-1/2″ x 4-1/4″ x 1-1/4″). It was green with a green leather carrying case. I was thrilled. Now I could listen to WIXY, WHLO and the Mighty CKLW at night! Without borrowing my older sister Cheryl’s! I loved that thing and used it constantly. 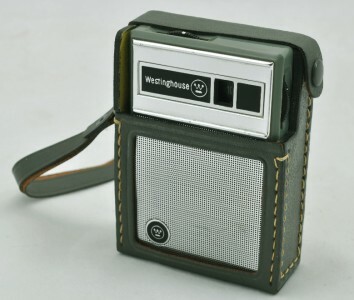 Over the years I recall ending up with a several more transistor radios but none would ever replace that Westinghouse. It always worked, and always had a strong receiver. 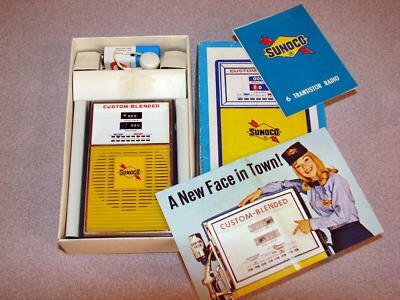 I had one other transistor radio that I thought was pretty cool when I first got it, a Sunoco gasoline promotional radio that the stations were giving away if you bought so much gas. They were manufactured to look like Sunoco gas pumps. The Old Man came home one day in 1967 or ’68 with two of them, one for myself and one for my kid brother. 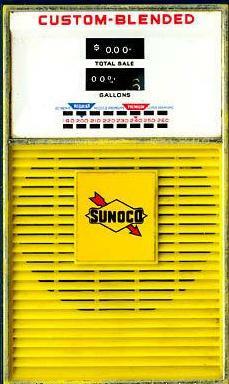 The Sunoco radio was a damn good radio, but nothing compared to the green Westinghouse Mom got me. One thing that was pretty cool about the Sunoco radio in ’67 or ’68 was the pump numbers changed as you moved the tuning knob. It was made in Hong Kong. Having a transistor radio in the 60’s is comparable today of having a cell phone, or Iphone or SmartPhone or whatever the hell they are calling them this week. Transistor radios were first developed in 1954 and soon became the most popular electronic communication device in history, with billions manufactured during the 1960s and 1970s. Of course, it won’t be long and may have already happened, that today’s ‘cell phone’ has eclipsed that. One thing’s for certain, those small radios communicated to an entire generation during the 60’s. 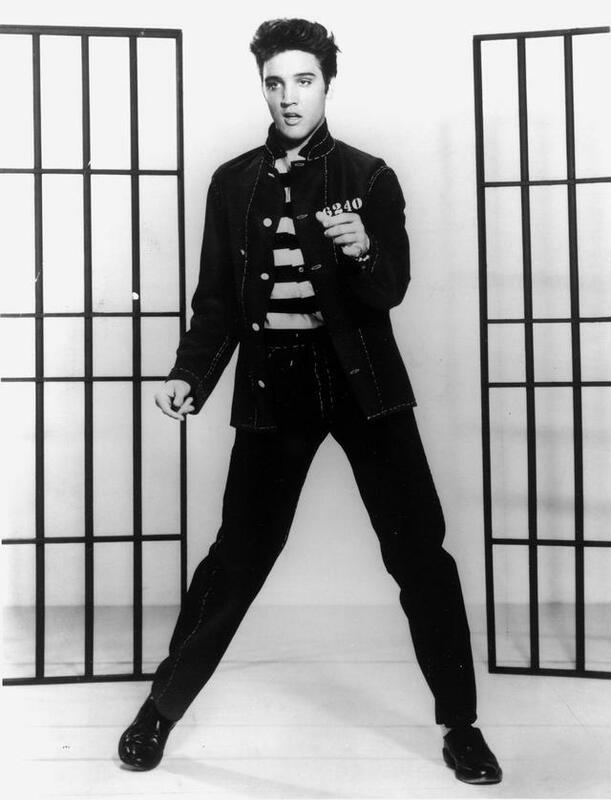 It was the major media for the young generation of the 60’s and it’s impact is likely immeasurable. down. The Zenith Trans-Oceanic 7000 was the last American-made transistor radio on the market. I should save this for my birthday, but that’s not until October and who knows what will happen between now & then? 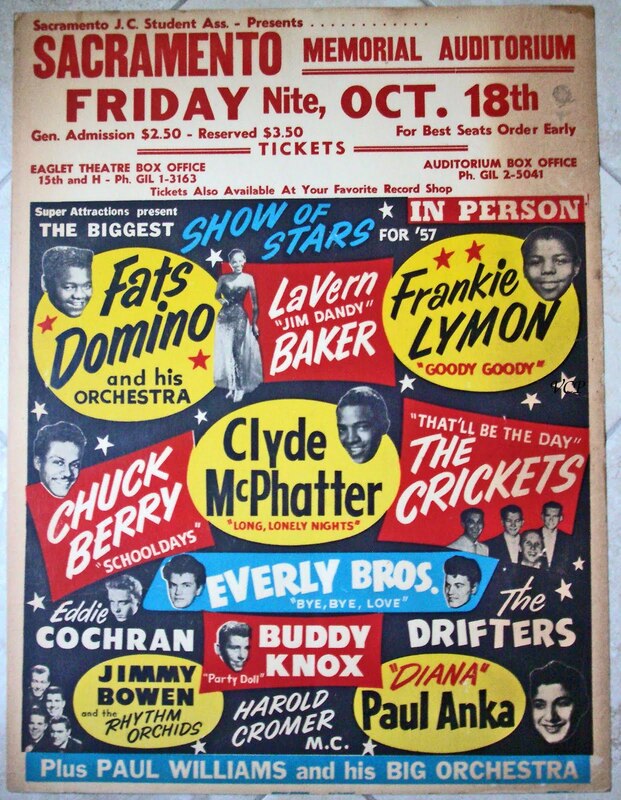 Anyway, and I may have mentioned this a few years ago here, but the rock n’ roll fever has been burning deep within me as far back as I can remember. Just love the stuff, you know? And I can’t play a note! More proof I was destined to be a rock ‘n roll fanatic is the fact that besides Elvis having the number one hit the day I was born, I also share the same birthday as Chuck Berry (October 18, different year of course) and according to one of my Beatle books the day I was born John Lennon & Paul McCartney perfomed in public together for the very first time as McCartney made his debut as a guitar player in Lennon’s Quarreymen, the forerunner of the Silver Beatles and then of course, The Beatles. 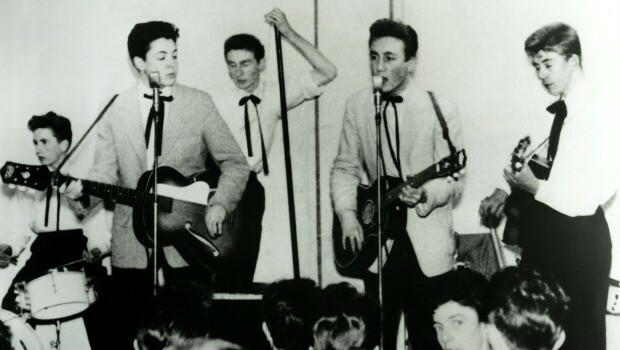 Promoter Charlie ‘Mac’ McBain held regular skiffle and rock events at his venues and on Friday October 18 he ran one such event at the New Clubmoor Hall in Norris Green, Liverpool where McCartney made his live debut with Lennon. And on that very same day, unknown to me until today (thanks M. L.! 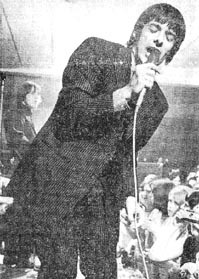 ), was a, what I would presume, huge concert in Sacramento, CA with nearly every superstar and big star of the day performing at the Sacramento Memorial Auditorium in an event promoted by the Sacramento J. C. Student Association. 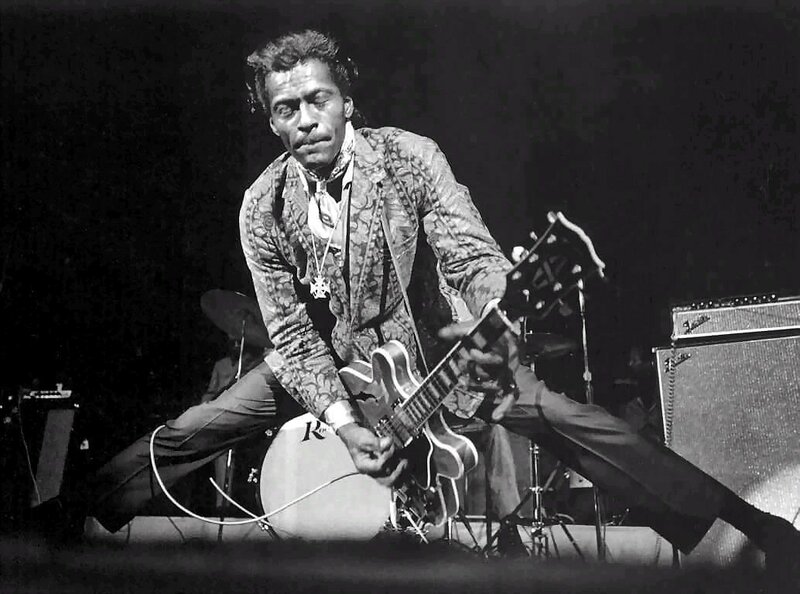 I now know where Chuck Berry celebrated his birthday on the day I was born! Nope, I never had a chance as the stars were aligned in perfect harmony that autumn Friday to birth me into a rock ‘n roll world. The cruel irony is there was no talent to go with the passion! In less than 10 days it will be one year ago that I lost my Mom, so naturally she’s been on my mind a lot here lately. 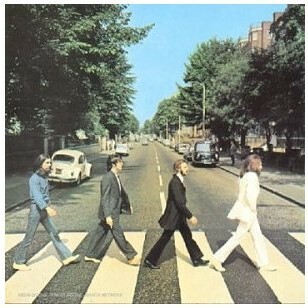 One memory that came back recently was when, after I became a teenager and she saw my growing record collection (and my sister’s and my brother’s), she would ask each Christmas for a list of three or four album titles, in case they were sold out of one or two selections. She would always make it a point to tell me to only expect o-n-e album, if any at all, yet invariably each year there would be two or three albums under the tree (it was that or another bottle of Hai Karate cologne!). Shown here is just a small random sampling of some of the albums my Mom bought me over the years. Looking back she was younger than I am now when she bought these for me (she was in her early 40’s). God bless you Mom. You were always hip! 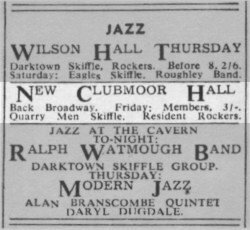 You are currently browsing the archives for the SMALL TOWN MEMORIES 60’s & 70’s category.